When someone lies to you, it’s because they don’t respect you enough to be honest or that they think you’re too stupid enough to realize they’re lying in the first place. That’s exactly how the New York Mets are treating their fan base. Throughout the course of this season, this organization has being spreading misinformation or, as it should be more bluntly put, flat-out lies on a routine basis. There was the time Mickey Callaway claimed that Jeff McNeil was incapable of playing anywhere besides second base, despite the fact that 48% of McNeil’s minor league appearances came at other positions. Since being called up by the Mets, McNeil has played two of his eight games at third base, which while not being an overwhelming sample size, is very clearly not exclusively second. Or the multiple times that Callaway has stuck up for José Reyes, whose off- and on-field actions would have merited a release from nearly any other team in Major League Baseball. “He’s played pretty good when he’s been out there,” Callaway said in early July while explaining why Reyes was starting at third base. Reyes has -3 defensive runs saved, a -2 ultimate zone rating and a -29.7 UZR/150 at that position, by the way. And that’s not even mentioning Reyes’ atrocious offensive numbers; the 35-year-old is hitting .187/.258/.283 for the season. How about the time that interim general manager — at least I think? The Mets front office situation is honestly a tangled mystery at this point — John Ricco claimed that the club would potentially absorb salary in trade deadline deals in order to get a better return. Well, as it turned out, the Mets opted to make just two trades ahead of this year’s July 31 deadline, as they moved Jeurys Familia and Asdrubal Cabrera. They also didn’t absorb a single cent of either player’s remaining contracts, saving the team close to $5 million. “We made the judgment the talent level for eating money wasn’t going to be there,” Ricco said after the Familia trade. “We decided to do the deal where we moved the money.” Perhaps a better deal would have been there had they kept negotiating until closer to the deadline. Despite Ricco’s claims that the team needed to “look at position players,” young players such as Amed Rosario, Jeff McNeil and Luis Guillorme continue to find themselves on the bench in favor of veterans with expiring contracts — Reyes, Jose Bautista, Austin Jackson, etc. — to the point that Gary Cohen, live on SNY, is counting the number of players over the age of 30 in the starting lineup. And the explanations from Callaway have varied from slightly odd to inexplicable. And now that the 2018 season is already over for this team, despite two more full months of games on their schedule, this front office triumvirate has their sights set on next year. Yet despite being on pace for consecutive 90-loss seasons, having a bottom-10 farm system and an unwillingness to spend on top tier free agents, Ricco has continuously claimed that the Mets are planning on being postseason contenders in 2019…with zero explanation on how they plan on accomplishing that feat. Along with the team’s incessant need to hide the truth, what’s become frustrating over these last few months is how a large majority of the media covering this team has essentially allowed them to get away with it. As the Mets continue to claim how well Reyes has played or why certain prospects are left to toil in the minors or how they’ll magically be contenders again next season, pushback in the press briefing room has been practically nonexistent. I think we all understand that this is a difficult position for these writers. These are people that they have to face on a daily basis, but at the end of the day, it is their job to seek the truth, and not just become another mouth piece for this organization. And while Callaway and Ricco likely aren’t the source of these lies, as the Wilpons (who apparently are only accessible to the media once every three years) continue to reign from on high, those making these false claims need to be pressed on the words coming out of their mouths. 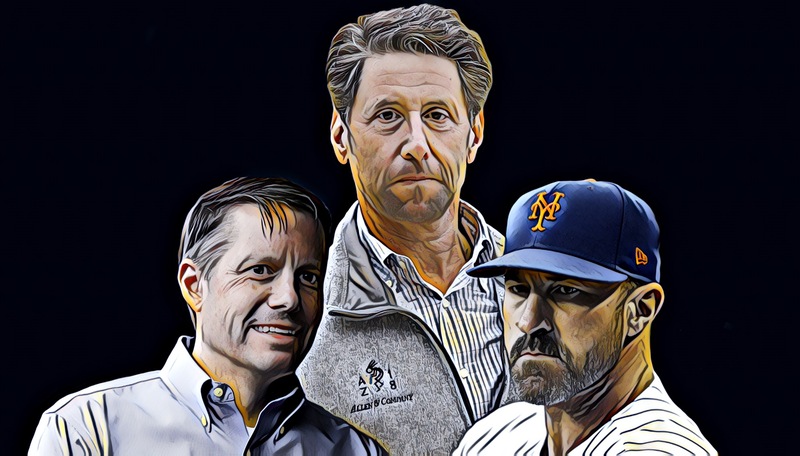 If you’re holding back your hard-hitting questions for Fred and Jeff Wilpon, you’re going to be waiting for a long time. I don’t expect this or any other baseball organization to be completely transparent and tell the truth at all times. There are situations where holding back information or posturing make sense for strategic reasons. But these things the Mets are saying have no logic or strategy behind them, and instead appear to be thinly veiled attempts at covering for their continued poor decision-making. What may be most frustrating, though, is that I don’t know if there’s an easy solution for this problem. Sure, you can change the manager or the general manager or the entire staff if you want to, but that’s not going to make much of a difference. Culture is derived from the top, and the Wilpons won’t be climbing down from their perch anytime soon. Will more pressure from reporters and analysts help change things? Will anyone actually step up to even try? Is an organized fan revolt something that can actually work, or will ownership just drown out the noise? In all honesty, there may not be anything that can actually stop the Mets from deceiving their fanbase. But from this point forward, these lies can no longer be ignored. They can no longer be rationalized. The time has come for the Mets to be called out for what they really are. 100% agreed. One terrible decision after another from high up has boxed in Mets options today and moving forward for the forseeable future. Currently the worst hitting team in MLB and the worst farm system for home grown talent. Continuously trading away fan favorites and current achieving players for aging and injured players past their prime or for low-level prospects who may or may not ever play in the majors. The only thing that will turn the Mets around is for the owners and managers to change. 2019 will be worse than 2018 for sure (no way do the Mets start the season 11-0 in 2019). And good luck filling seats at Citi Field to pay for all those inflated salaries. Mets may have to firesale DeGrom, Syndergaard and Wheeler in 2019 to meet its money obligations and end up with an even worse team than the 1962 Mets. It’s going to get much worse before it gets better. Mets are destined to become the laughingstock of MLB.